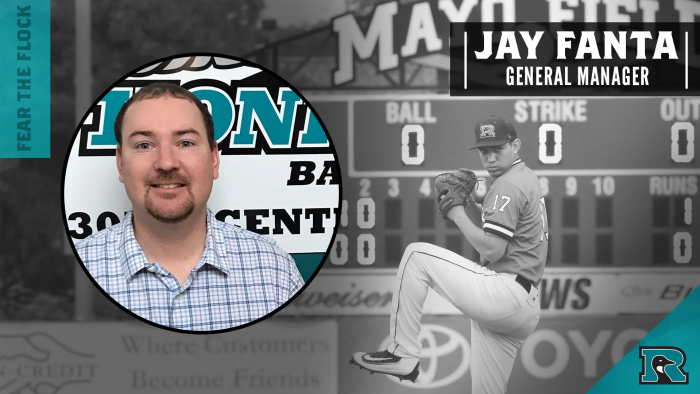 Jay Fanta is in the midst of his first season as the General Manager of the Rochester Honkers in 2019. Fanta is no stranger to Rochester or the Northwoods League having worked for the La Crosse Loggers during the 2011 campaign and 2012 Loggers Championship season as the director of ticketing. Prior to being named the Honkers General Manager, Fanta worked in the sports tourism industry for Rochester Sports for six years, most recently as the Sales Manager with the goal of driving business and sports attendees to Rochester. During his time at Rochester Sports, the organization was named the 2015 NASC Sports Tourism Organization of the Year. Fanta is a 2012 graduate of UW-La Crosse where he earned four letters on the UW-L Baseball team. As a senior he was named a 2012 NCAA All-American and the Midwest Region Player of the Year leading the Eagles to their first NCAA Regional birth in over a decade. Fanta is from Viroqua, WI. and resides in Rochester, MN. Marketing and a minor in Advertising. I grew up around ball fields my entire childhood both playing, and watching, this incredible sport. When I am not at the field I love playing softball, hanging out with my friends, family, and pet bunny, or spending as much time outside as I can. I look forward to this opportunity and seeing all of you at the ballpark this summer! 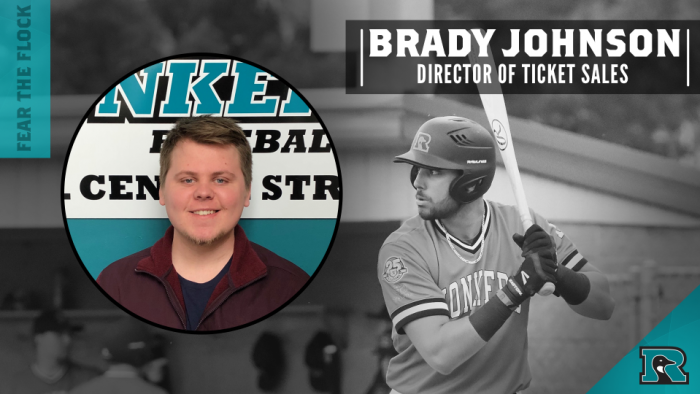 Brady Johnson is in his first season with the Rochester Honkers, but second consecutive season within the Northwoods League. 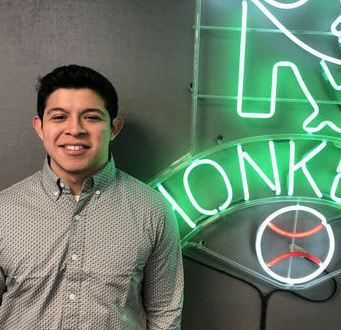 The Cannon Falls, Minn. native, and soon to be Winona State University graduate, served as a ticket sales coordinator for the La Crosse Loggers during the 2018 season. Johnson, who also is the co-founder of the WSU Sports Business Association, will lead the Honkers ticket staff in coordinating all season ticket, specialty ticket package and single game ticket purchases. 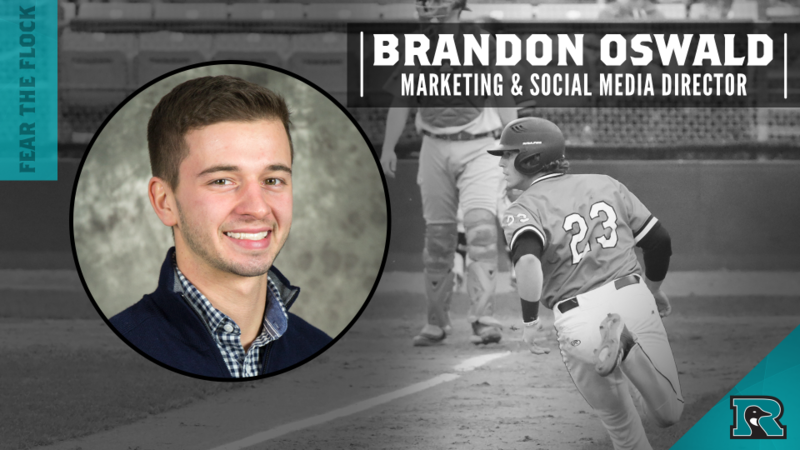 Brandon Oswald is in the midst of his third season in the Northwoods League, including his first as the creative and social media director of the Honkers. Oswald, a Sparta, Wisc. native and recent graduate from Viterbo University (La Crosse, Wisc. ), began his NWL career in the summer of 2017 with the La Crosse Loggers helping spearhead the in-game entertainment. 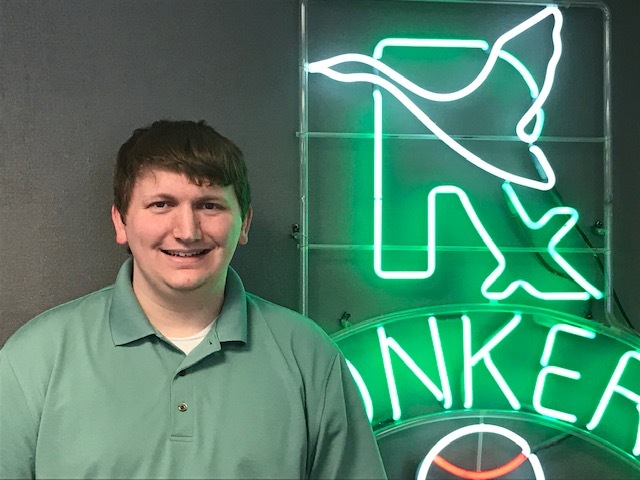 He has since taken the reigns as the marketing and social media director for not only the Honkers, but serves in the same role for the Loggers and Mankato MoonDogs where he also creates all graphical content for the video boards located in their respective markets. 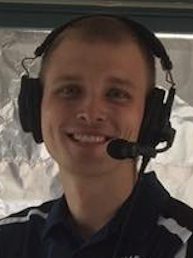 Mitchell Speltz is starting his first season as the voice of the Rochester Honkers and his second year in the Northwoods League, as he was a broadcaster for the Duluth Huskies in the summer of 2018. Mitchell grew up in Independence, Wisconsin and graduated from Viterbo University (La Crosse, WI) in 2018 with degrees in Sports Management and Marketing. He has been an active member in the La Crosse sports community for many years. At ESPN La Crosse, he is the play-by-play radio voice for Coulee Region football and basketball games, and he covers both Wisconsin Badgers Football and Men’s Basketball as a team reporter. In addition, he has worked at WKBT-TV News 8 in La Crosse as a sports photojournalist, where he covered various sporting events in Western Wisconsin and Southeastern Minnesota. Mitchell has loved baseball his whole life and is a big fan of the Milwaukee Brewers! This is my first season joining the Honkers front office team and I could not be more excited. A Honkers game was my first baseball game I attended as a kid and I would like to show everyone how fun a day/night can be out at the ballpark. I am from Claremont, MN and will soon be a Winona State Graduate. I look forward to growing as a professional on the Rochester Honkers Front Office team! Hi, Honkers fans, I’m Alex, and this will also be my first season as a part of the Honkers team. As a Rochester native, I’m happy to join the team after being a fan for so many years. Because I’ve had such a good time at Honkers games, I want to give other fans the same experience. I’m looking forward to May as that’s when I’ll graduate from Saint Mary’s University in Winona and that’s when the season begins! The operations of the Rochester Honkers are owned by a 5-person ownership group entitled Bases Loaded Entertainment, LLC. The ownership group consists of Kyle Smith, Chad Surprenant, Dan Kapanke, Chris Goodell & Ben Kapanke, who oversee the operations of the Rochester Honkers, La Crosse Loggers and the Mankato MoonDogs. Kyle Smith is currently a principal and director of development of The Tailwind Group. He spends much of his time generating new business opportunities in both the student housing and commercial sectors. Holding a Bachelor of Science degree in Business Management from Minnesota State University, Kyle has not only been active in real estate development, but his business experience also includes aviation, health & fitness franchising and the food service industry. Chad Surprenant is the current president and CEO of ISG, a Mankato-based engineering and architectural firm that has been a growing business in and outside of Mankato for over 40 years. Surprenant, a Mankato, Minn. native, is an active member of the Mankato community serving in a variety of roles including: Treasurer of the Greater Mankato Growth Board, Board Member of the Mankato Area Foundation, Mankato Area Youth Baseball Association and the GreenSeem Steering Committee along with serving as Chair of the Minnesota State University Civil Engineering Advisory Board and Director of the Cultivation Corridor Board. He also served as past president of both the Mankato Golf Club and the South-Central College Foundation Board. Dan Kapanke has owned the La Crosse Loggers Baseball Club in La Crosse, Wisc. since the team’s inception in 2003 and has been the driving force behind enhancing the city-owned Copeland Park facility. A former politician, Kapanke served as a Wisconsin State Senator from 2004 through 2011 when he represented the 32nd District. Prior to his leadership role in the political realm, Kapanke had been in the agriculture business for 20 years. Chris Goodell (Team President) is in the midst of his 20th season in the Northwoods League, having spent time with both the Waterloo Bucks and La Crosse Loggers organizations. Goodell, who currently serves as the team president of the Loggers, Mankato MoonDogs and now the Rochester Honkers, served as the general manager of the Loggers organization from their inaugural season of 2003 through the 2018 season, helping build a stadium and team that is one of the top drawing teams in all of summer collegiate baseball. Goodell was honored as the Northwoods League Executive of the Year on two occasions, in 2004 and in 2012, and was recognized as the La Crosse Tribune’s Sports Person of the Year in 2009 and 2012. Ben Kapanke (Vice President, CFO) is in the midst of his fifteenth season in the Northwoods League and in his first year as the general manager of the La Crosse Loggers after serving the previous ten years as the assistant general manager. 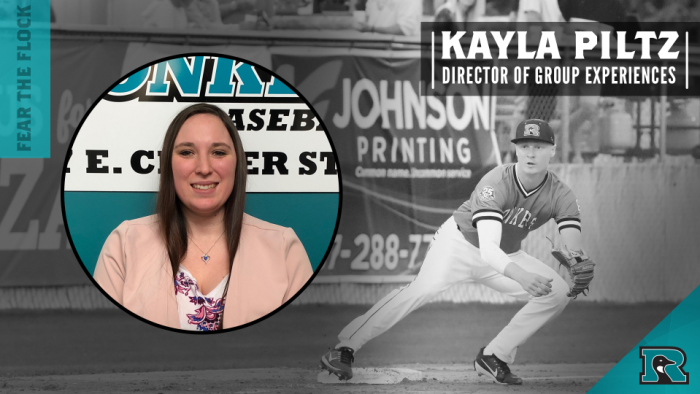 Kapanke, who also holds the title of vice president/CFO of the Loggers, MoonDogs and now the Honkers, oversees the concession operations as well as the team’s finances for all three clubs while leading the Loggers day-to-day operations. Kapanke got his introduction to the Northwoods League in 2002 when he served as an umpire after attending the Jim Evans Academy of Professional Umpiring. Email for Ownership Group – honkersbaseball@gmail.com. Sean has been a heavy presence in the Rochester sports scene—he was previously a sports anchor and reporter at ABC 6 News, his last two years serving as the station’s Sports Director. Prior to moving to Rochester, Sean grew up in Waukesha, Wisconsin, where he first developed a love for sports, and announcing sports, while cheering on his favorite teams—the Milwaukee Bucks, the Milwaukee Brewers, and yes, even the Green Bay Packers. Sean has lots of overall experience in local television, live sports broadcasting, public address announcing, and he’s experienced behind the scenes as well. Andy enters his second season as the Official Scorer for the Rochester Honkers! Andy was a Rochester Honkers Intern during the 2011 season, and returned to work as part of the Front Office during the 2012 season. Andy has lived in Stewartville for the last seven years with his wife, Samantha, and their two daughters, Cecilia and Felicity. During the day, Andy works as a Lab Assistant for Mayo Clinic Labs. 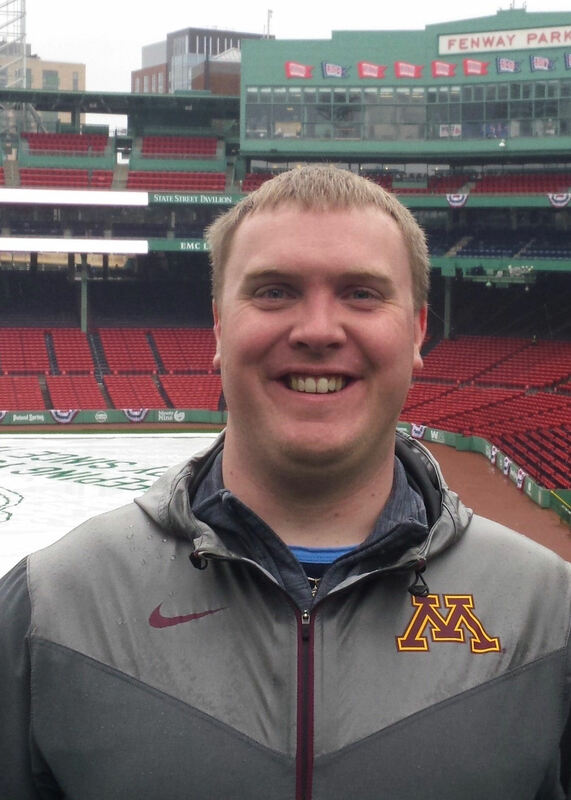 After hours, Andy referees high school basketball, baseball, and softball; as well as helps score softball, baseball, and basketball events hosted by Minnesota’s Rochester Sports. 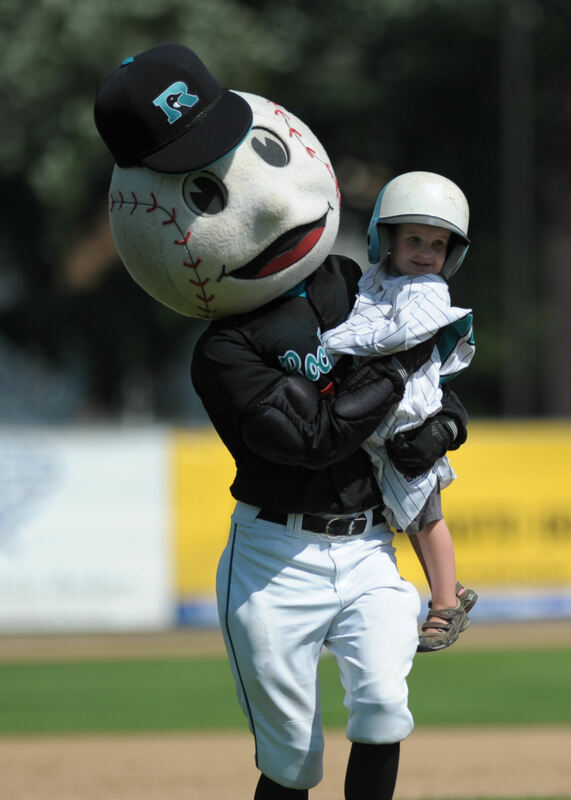 Slider has been the iconic mascot for the Rochester Honkers since the 1997 season. 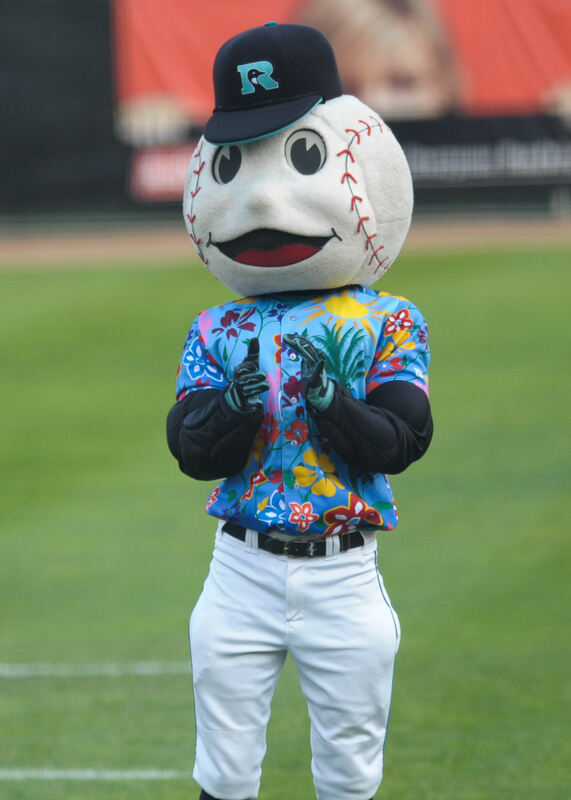 Known for exciting the crowd at Mayo Field, Slider has become famous for his dance moves at the start of every home game, and leading fans in the “YMCA”! Slider keeps busy helping out with the on-field promotions, and working the crowds, but will always find time to spend with the younger fans and sign autographs. Before each game Slider likes to stretch behind home plate, wave to the fans, and welcome the Dream Team of the Night. In the offseason, Slider stays in mascot shape by running marathons and lifting weights.